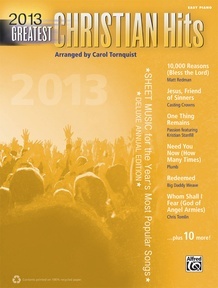 From inspirational ballads to up-tempo rock styles, these are the hits to play in 2013! 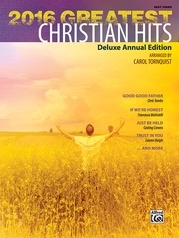 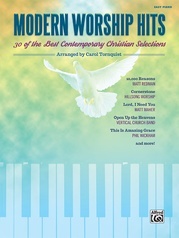 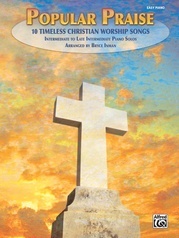 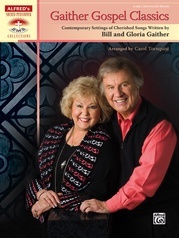 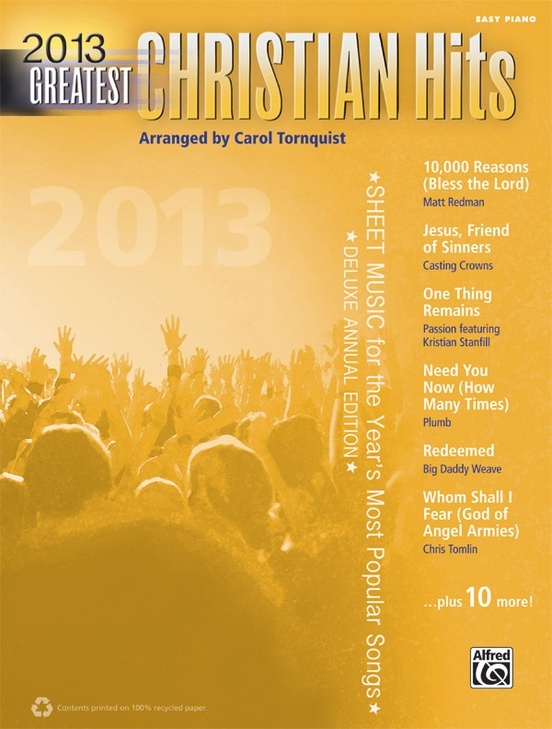 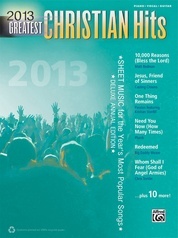 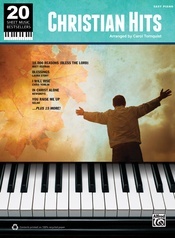 Play and sing the music of today's top Christian artists with easy piano arrangements of 16 hit songs. 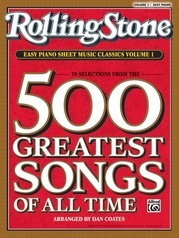 Due to their popularity and playability on piano, they rank among the top-selling sheet music titles in their genre. 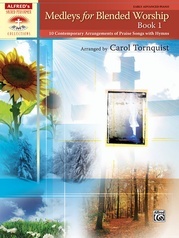 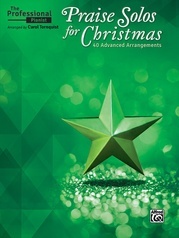 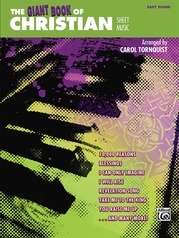 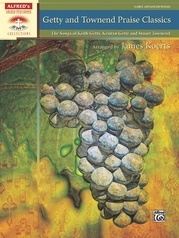 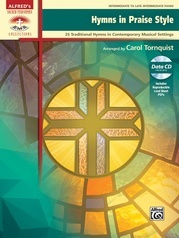 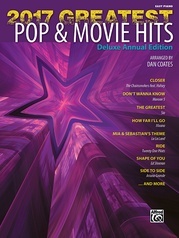 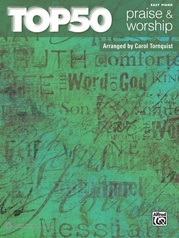 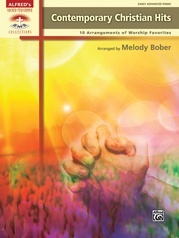 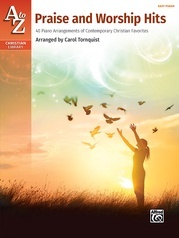 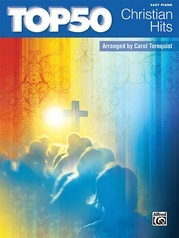 For practice, performance, and expression of faith through music, this collection guarantees unlimited enjoyment. 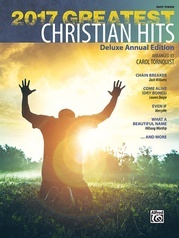 Titles: 10,000 Reasons (Bless the Lord) (Matt Redman) * God's Not Dead (Like a Lion) (Newsboys) * Good Morning (Mandisa) * Hold Me (Jamie Grace featuring TobyMac) * How Great Is Our God (Chris Tomlin) * I Need a Miracle (Third Day) * Jesus, Friend of Sinners (Casting Crowns) * Need You Now (How Many Times) (Plumb) * One Thing Remains (Passion featuring Kristian Stanfill) * The Proof of Your Love (For King & Country) * Redeemed (Big Daddy Weave) * We Are (Kari Jobe) * Who You Are (Unspoken) * Whom Shall I Fear (God of Angel Armies) (Chris Tomlin) * You Are (Colton Dixon) * Your Love Never Fails (Newsboys).